Below find the Impact Investment Story of the Franciscan Sisters of Mary (FSM). FSM has played an integral role in the development of CIIC, with the CFO/CEO of the Sisters John O’Shaughnessy serving as the original founder/convener of CIIC. After discovering the potential for Impact Investment in their investments FSM has not once looked back, fully embracing this aspect of their investments as an extension of their mission and using their status as a pioneer in this space to promote Catholic Impact Investment amongst peers and beyond. The Franciscan Sisters of Mary always administered our investments within a socially responsible framework. We screened out investments in companies that failed to conform to moral, ethical and social issues and values, improved corporate practices by co-filing shareholder resolutions and proxy voting, and invested in some below-market-rate community development and housing loan funds. But was responsible investing enough? Was our investment program’s design sufficiently aligned with FSM’s Mission and Focus? Moreover, did it further that Mission and Focus? The Challenge: FSM’s investment guidelines included a list of mandates to produce positive social and environmental benefits. During an investment policy review, the CFO identified that the positive impact generated by our investment program was limited, well below the degree called for by the guidelines. The challenge became: either find an effective means to adhere to the guidelines or significantly tone down those positive mandates. Search and Discovery: Our CFO attended the SoCap 2009 and 2010 conferences, and brought back evidence that other mission-driven organizations (mainly secular) were moving beyond traditional socially responsible investing and using profit-seeking investments to generate social and environmental good. The Mission of the Franciscan Sisters of Mary is to be the presence of the loving, serving, compassionate, healing Jesus. Flowing from our Mission, we focus the power of our intention on compassionate care of Creation in collaboration with others. A picture of one of someone using the solar power provided by one of FSM's eventual Impact Investments, M-KOPA. Consideration of FSM’s mission interests, financial parameters and organizational context. Review, refinement and approval of the proposed strategy. That strategy addressed financial parameters, mission objectives and organizational approach for sourcing, reviewing, diligencing, executing and managing investment. Reflected in the revised policy was a $10 million impact investment carve-out, with $8.3 million allocated to impact opportunities with a moderate risk profile and $1.7 million to “deep mission” investments that seek substantial effect and tolerate greater risk. The full impact allocation would be placed in private investments, including private equity, credit, and real assets, all asset categories previously absent from FSM’s asset mix. So from a Modern Portfolio Theory investment perspective, these private investments enhanced FSM’s risk/return profile in terms of both impact and economic/financial. Building the Portfolio: Imprint helps FSM build and manage our impact portfolio. They do so by identifying, conducting due diligence on, and recommending managers, products and direct investment opportunities consistent with the parameters and goals in our investment policy. Imprint also provides information to and coordinates documentation and communications from prospective investees with FSM to support investment closings. FSM’s CFO and Treasurer approve individual investments. FSM made its first impact investment in May 2013. Through 2016 our current portfolio of 13 investments has a cumulative committed capital of $7.99 million, with $5.4 million of that called. Monitoring Portfolio Assets: Imprint provides quarterly investment reports on the portfolio assets and an annual portfolio impact assessment. As of September 30, 2016, FSM’s impact portfolio had 32% allocated in private credit investments, 23% in private equity and 45% in real assets. Since inception the portfolio has generated an IRR of 4.1%. 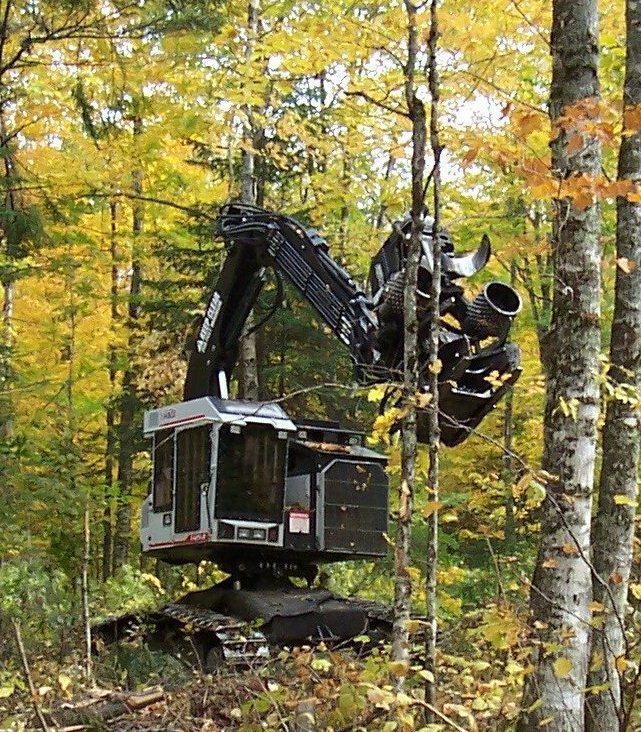 A picture of another one of FSM's investments in sustainable timber operations. Fossil Fuel Divestment: With the impact investing processes in place and largely focused on restoring the environment, in August 2014 FSM pledged to divest from fossil fuel production companies. In doing so, FSM formally signed on with the Divest-Invest Movement, a strategic initiative to mobilize billions of dollars in capital as a financial lever for confronting climate change. By the end of that calendar year, FSM had fully implemented this divestment strategy, employing a customized indexing strategy for all its core equity portfolios. Aperio Group is the asset manager that carries out this strategy, which enables FSM to achieve market-rate returns and reduce fees while fully adhering to its enhanced social responsibility guidelines. More to come: In a later update we will share some information about FSM's actual impact investment story. In the meantime we suggest you can read more about how FSM, University of Dayton, and Sisters of St. Francis of Philadelphia have used their assets to combat climate change in Arabella Advisors piece Assets in Action.